On April 30, 2017, a much-anticipated, heart pumping fun run will be held in San Juan, La Union. 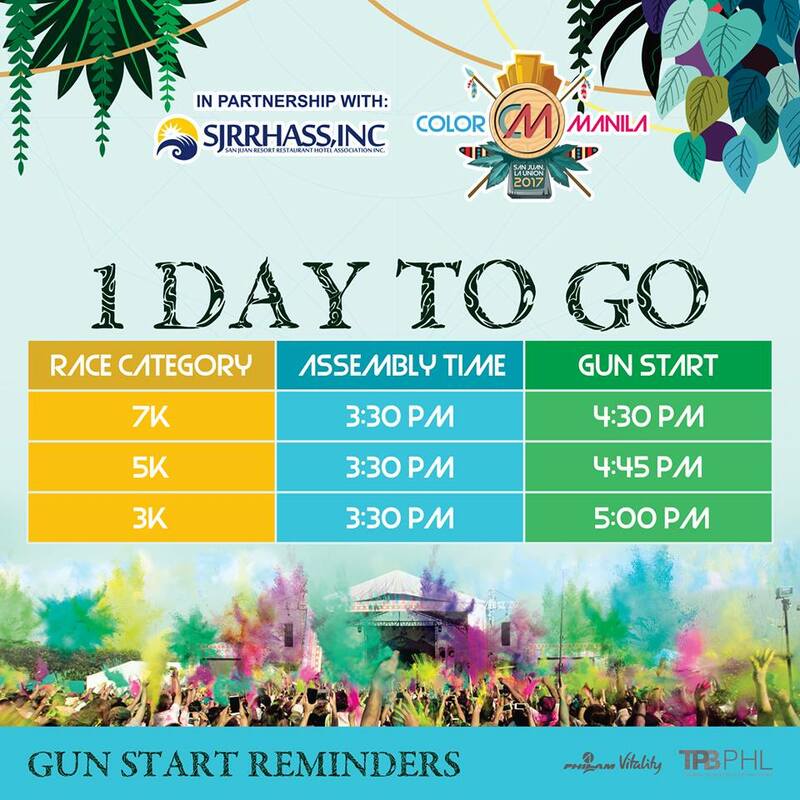 Organized by COLOR Manila (CM) in partnership with San Juan Resort Restaurant Hotel Association, Inc. (SJRRHASS), CM CLASSIC has different categories, which include 3K, 5K, and 7K run. Puerto de San Juan Beach Resort Hotel, a member of SJRRHASS, partakes in this event. Not only it helps promote active and healthy lifestyle but it also encourages camaraderie and friendship. CM CLASSIC in San Juan is also a great opportunity for more people to know more and appreciate San Juan, La Union. Be sure to be at the assembly area to fully enjoy the experience. 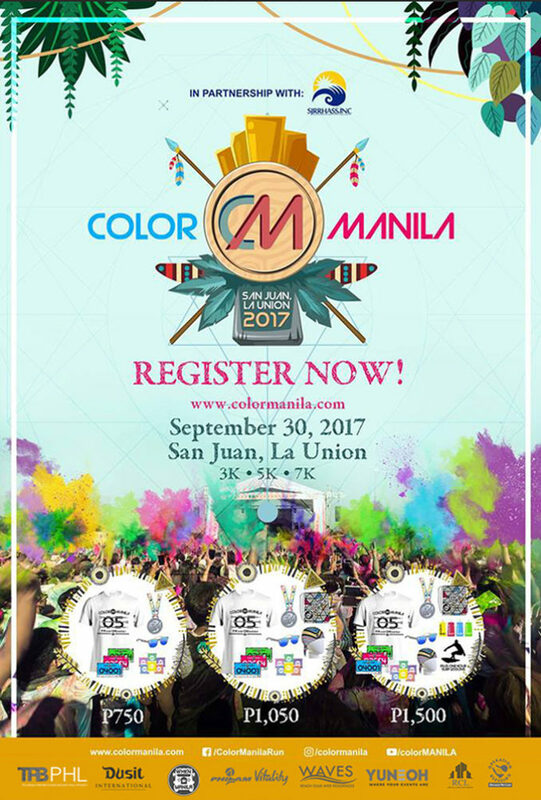 For more details, visit Color Manila official event page. It's all your choice if you want to make a splash on the beach or take a dip in the pool. Here in Puerto de San Juan, fun and activities are simply overflowing. Play beach volleyball during daytime and billiards in the evening. Enhance your skills through darts and board games. But most importantly, enjoy viewing the breathtaking sunset with family and friends. Experience the laid back ambiance of Puerto de San Juan with fully-equipped rooms and relaxing massage in the comfort of your suite. Enjoy touring around the spacious grounds or visit the Chapel. Let our Bar & Grill Restaurant fill you up with satisfying meals and snacks. Chill out in our Spanish Tapas Bar every Fridays and Saturdays. Or get in touch and let us know how we can arrange a superb getaway for you. Puerto de San Juan Beach Resort Hotel is your top tourist beach resort and hotel destination in San Juan, La Union, Philippines. Whether you arrive as backpacker, tourist or family, we have the perfect accommodation and facilities just for you. Not to mention, our elegant conference hall can handle small and large groups. Experience San Juan like no other place can! Rated 4/5 based on 39 Reviews. Check out and follow our online hangouts! © 2016-2019 Puerto de San Juan Beach Resort Hotel. All Rights Reserved.